Reducing the amount we consume is possibly the easiest method to adopt since it requires nothing more than being aware of what we consure and simply using less …. Bathing and showering: Opting to take a shower over a bath can save up to 50% of the water you use. A bath consumes 80 – 100 litres of water whereas a shower consumes 40 – 50 litres of water. choose to share a bath. (b) Placing ½ a brick in the cistern to decrease its water holding capacity. It is important to attend to water leaks in the toilet as quickly as possible. Taps should be turned off while hands are washed and/or teeth being brushed and only turned on again for rinsing purposes. Leaking taps, dripping shower heads, broken washers, etc. should be attended to a.s.a.p. Alternatively, a bucket should be placed under the leak to catch the water for its re-use elsewhere in the home/garden until such a time as the leak can be fixed. Homeowners etc should be encouraged to mulch their gardens in an attempt to increase the moisture content of the soil and reduce the evaporation levels off the soil. 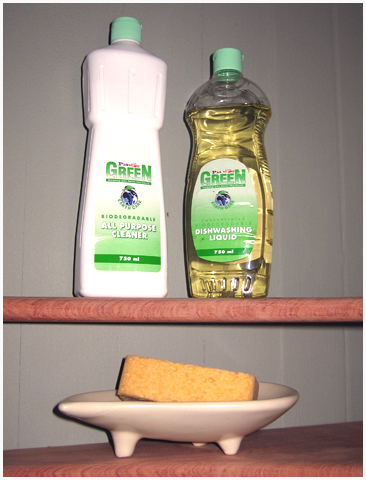 Homeowners etc should be encouraged to use readily available biodegradable cleaning products that have no adverse affects on the quality of the water which can then be used to irrigate plants, herb gardens, potted plants, lawns etc. There are a number of readily available products around such as the Pick & Pay Green range, Enchantrix, etc. Opting to wear hardwearing articles of clothing (such as jeans, jerseys, etc) more than once before placing them in the wash basket can assist in reducing water consumption. Washing machines can be placed on low/minimum and energy saving cycles rather than on full cycles – this saves the household on both water and energy consumption. Biodegradable products are also available that can allow for the water to be re-used in the garden, around the house, etc. Car owners should get accustomed to using a bucket of water rather than a hosepipe to clean their vehicles - and not simply in periods of water restrictions and water shortages. If you are building a new house, limit the number of plug points and light bulbs for each room. If you are in a house that has numerous light points, choose to only put low-energy globes in those that are required. Use candles more often – they also create a great ambiance in the room. Candles can be put into a freezer overnight – this lengthens their lifespan by a couple of hours – particularly the small round tea lights. Use energy saving globes. It is not possible to use energy saving globes with dimmers – but you can choose to use the lowest wattage available for these light points. Turn off plug point switches when you are not using a device consistently (even though it may remain plugged into the socket). Turn off your geyser overnight before you go to bed and on in the morning approximately 1- 1½ hours before you shower or bath. If this proves inconvenient, bring in an electrician to install a timer switch in order for the geyser to turn on and off automatically. This is well worth the expense. Turn off geysers when you go away on holiday. When your electric geyser no longer works – consider replacing it with a solar water geyser. Speak to your insurance company and ask if they can fund the replacement of the geyser and if not for the full amount, at least for the amount that they would have funded had you replaced it with another electric geyser. Buy AAA rated electrical appliances. These appliances are more energy efficient than non-AAA rated appliances. Ask the sales person at electrical appliance store for the options … some companies only offer AA-rated appliance. This is still a better option than no energy saving aspect at all. Use the energy saving option on all electrical appliances such as dishwashers, washing machines, etc. 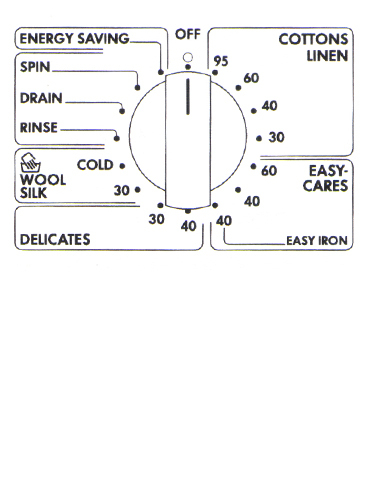 For all tumble drying options, hang out the washing to “half dry” before putting washing into the machine. When you boil water in a kettle for any purpose, boil only the amount you need to use. For example, if you are boiling water for ONE cup of tea, only put one cup of water in the kettle. Boiling water is the most energy consuming method and this will keep the energy required to boil water to a minimum. Choose to buy cars that are light on fuel. The bigger the car the greater the energy (fuel) needed to get it going. Accelerate slowly when starting from a “dead stop”. Choose your fuel brand carefully. Instruct the fuel operator not to fill the tank to the top – request that they fill the tank to the automatic first “click” of the fuel nozzle. Travel at fast rates in low gears consumes more fuel than travelling at fast rates in higher gears. Keep windows closed when travelling on highways at highway speeds. Open windows cause air drag and rise fuel consumption. Drive consistently – slowing down or speeding up wastes fuel. Stoplights are timed for your motoring advantage. By travelling at the recommended speed limit you improve your chances of “catching” the green light all the way ..
Avoid rough roads if possible; gravel roads can use up to 30% extra fuel. Driving on deep tyre tread all uses up more fuel. Avoid excessive “reversing” to save fuel consumption. Keeping your tyres properly inflated will reduce fuel consumption. Re-use the paper from your printer. The back of all your office paper can be used for children to draw on, donated to schools/local community centres, etc. Use the paper rings inside the toilet paper roll to protect your seedlings or collect them and donate them to a pre-primary school. For paper products (magazines, etc) that have no apparent “re-use” function … donate to primary schools, community centres, etc … children always need books to cut out of for school projects – especially those who have no access to computers/the internet etc. Learn to make energy efficient fires. There is a method known as “basa njenjo Magoga” where the coal is laid down first, then the paper, then the wood .. and a few additional lumps of coal laid on top of the fire once it has been lit … as opposed to laying the coal ON TOP of the wood.